Zoned Industrial, located in growing area. Near Industrial park and Commercial. 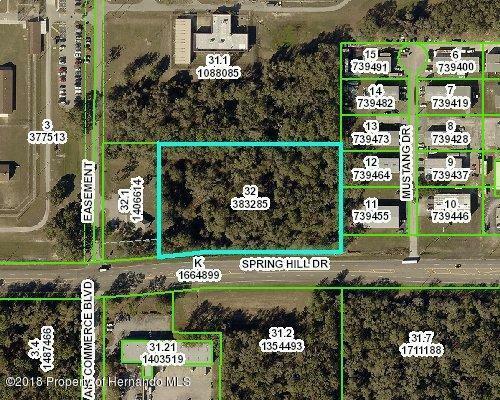 3.6 acres with Over 500 feet of frontage(MOL) on Main Road through town, Spring Hill Drive, and near Suncoast Hwy and RTE 41, both main roads North and South of Spring Hill. Great Location.